Fins come in a variety of shapes and sizes, and whether you’re experienced underwater or a beginner, it’s important to know what the best design will be for your particular dive. What can be most confusing is the difference between snorkeling fins, scuba fins, and freediving fins. Say, for example, you spent a good amount of money on some quality diving fins. Do you really have to purchase a new pair to go snorkeling? Or, what are the drawbacks of using short, snorkeling fins to do deeper dives? In this post, we’ll share with you some of the key differences between the types of fins on the market so that you can make a decision about what will work best for your dive. Snorkeling is a widely popular activity, and it’s easy to see why. The sport is done at shallow depths without needing fancy equipment or much experience, and in most areas where snorkeling is popular, you can have access to vibrant reefs and shallow water wildlife. The snorkeling fin reflects that accessibility factor. These fins are generally designed to be simple and straightforward, something that you can easily throw on before getting into the water. They come in a variety of lengths, ranging from the very short travel fin of around 15-20” to the more traditional style with 24-26” and tend to lack most of the features that help divers navigate water at deeper depths. They usually have a full foot pocket but you can also find them with an open heel. 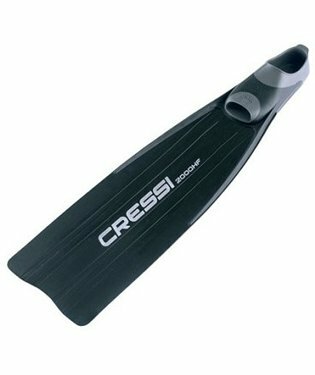 Click here for the lowest price for the Cressi Palau Snorkeling Fin on Amazon! Why are these qualities helpful? For a couple of reasons. The most important, of course, is how these fins perform in the water. The shorter fin allows snorkelers to make small, flexible movements, which is ideal for paddling about just below the surface. With the shorter fins, you’ll be less likely to accidentally damage the reef and you can get out of tight spaces with a bit more grace. An added benefit of the length is the ease with which snorkelers can get in and out of a boat or walk right onto the beach. The scuba diving fin is probably the most standard-looking fin on the market. Their length generally starts where snorkeling fins leave off at around 25” and tend to stay under 30”, and, like the snorkeling fins, they come with the option of open heel or full foot pocket. Click here now for the lowest price on the Mares Avanti Quattro Plus on Amazon! Diving fins really differentiate themselves in the technology of their design. With more options for control and efficiency of the kick, it’s clear that diving fins are made for more challenging conditions. For instance, because diving takes place at higher water pressure that can be more difficult to navigate, advancements like the split fin and channels in the paddle fin become more important for the diver. These fins also tend to be stiffer and thicker for durability and power. These fins are a bit of a fringe product on the market, because, let’s face it, freediving is not the most common underwater sport. Because of the absence of breathing equipment, the freediver truly relies on quality fins to be able to move quickly and powerfully through the water. So how does the freediving fin achieve this? Length. Most freediving fins exceed 30” and some can be as long as three feet. In terms of flexibility, this style tends to be on the stiffer side, which will take a certain amount of skill but really pays off in power. 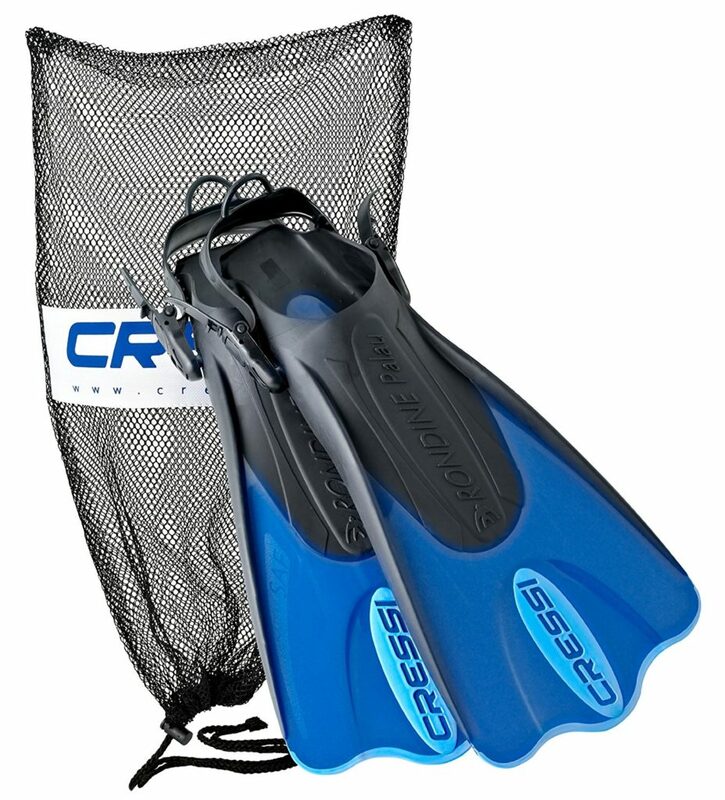 Click here now to find the lowest price for the Cressi Sub Gara 2000 HF on Amazon! Within the world of freediving fins there is also the monofin, probably the most outlandish-looking and specialized product on the market. In this design, both feet are inserted into a single blade to create something like the caudal fin on a fish or a whale. While tricky to get used to, this design is supposed to be the most efficient way to propel yourself through the water. Another typical design characteristic of the freediving fin is the full foot pocket. When you’re speeding through the water with only a few minutes of exploration, you don’t want to be in a situation where your foot could fall out of an open heel strap. 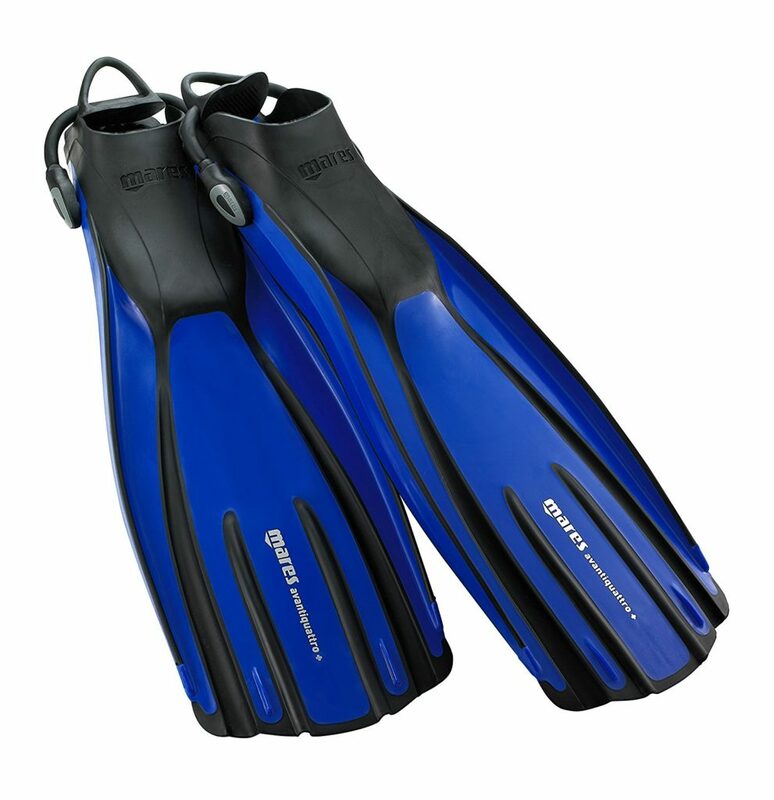 Of course, you can find freediving fins with an open heel, but the full pocket is far more popular. Clearly, we’re talking about really specialized fins here, but how restrictive are these design advancements? Can you use one type of fin for more than one activity? The short answer is a hesitant yes. The best way to think about it would be on a spectrum. Here, we mentioned snorkeling first because it is the least specialized in terms of equipment, and more flexible in what you can use. Sure, you’re going to be more comfortable with a snorkeling fin, but a scuba fin or even a freediving fin is going to be nothing more than an inconvenience. In fact, for a long time, people used scuba-like fins for snorkeling. However, as you get into the more advanced end of the spectrum, with scuba and freediving, the fin choice has a stronger impact. Using the small snorkeling fins in a deeper dive or in a free dive, for instance, is just not going to cut it. You’re going to be expending too much energy and will probably slow down your diving partner. That said, switching out scuba fins for freediving fins may not be too much of a hindrance and vice versa. Overall, once you’ve had some experience in each of these practices, you’re going to start getting pickier about your fins. After all, the specialized advancements have come from divers wanting to improve their experience, and you’re going to have a better time when you choose the fin that was designed for whatever sport you’re doing.